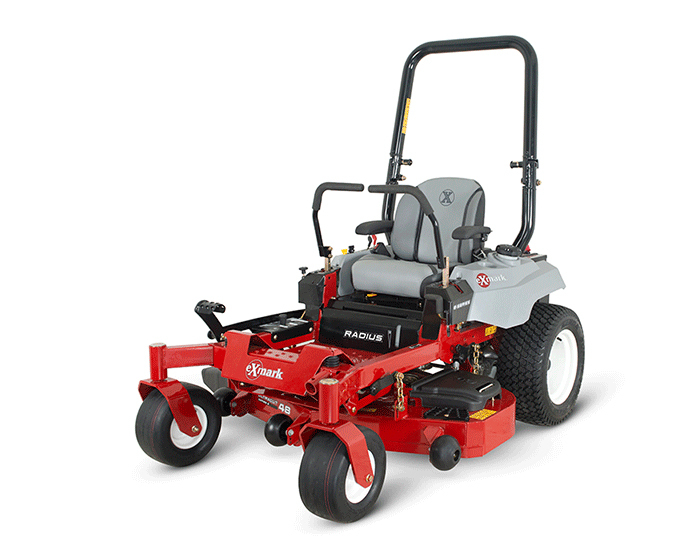 Exmark Radius E Series Zero Turn Rider RAE708GEM48300 features a powerful Exmark 24.5 HP, 708cc V-twin engine and 48’’ UltraCut Series 3 deck that is perfect for lawn professionals with a lot of grass to mow. With maintenance-free spindle assemblies, a heavy-duty unibody frame, and a high back seat with foam padded seat cushions this model combines superior productivity with driver comfort. Transmission Type : Dual Hydro Gear ZT2800, hydrostatic transmission with charge pumps, relief valves and independent, replaceable filters.